With 3 children in our home, 2 of which are gamers is there any doubt that PowerA would be at the top of our holiday list? PowerA is made up of very different individuals who come together for one purpose: To build innovative accessories for the world’s best interactive entertainment. They partner with amazing people and companies, including Nintendo, Microsoft, PlayStation, Apple, Disney, Activision, Ubisoft and more. You can shop PowerA products at major retailers in North America, Europe, Australia, and Latin America. Also, the Interwebs. What does all that mean to you? Well, they are pretty much a gamers best friend, they offer the hottest accessories to bring your gaming to a new level. We are absolutely thrilled to have the chance to feature them on your holiday gift guide this year. These are our topic picks in no particular order, make sure to visit them today to make your list. They offer a wide verity of products that allow you to take charge of your gaming experience on all the popular gaming systems. This controller is highly customizable with 225 light-up color combinations, 15 different LED colors, 2 separate light up areas, 3 operational modes and 4 brightness settings and a 3.5mm audio jack. It also has a sleek design with colors phase and pulses through its unique, trans-metallic shell. This controller looks great with its lights on or off. It features easy to change lights. 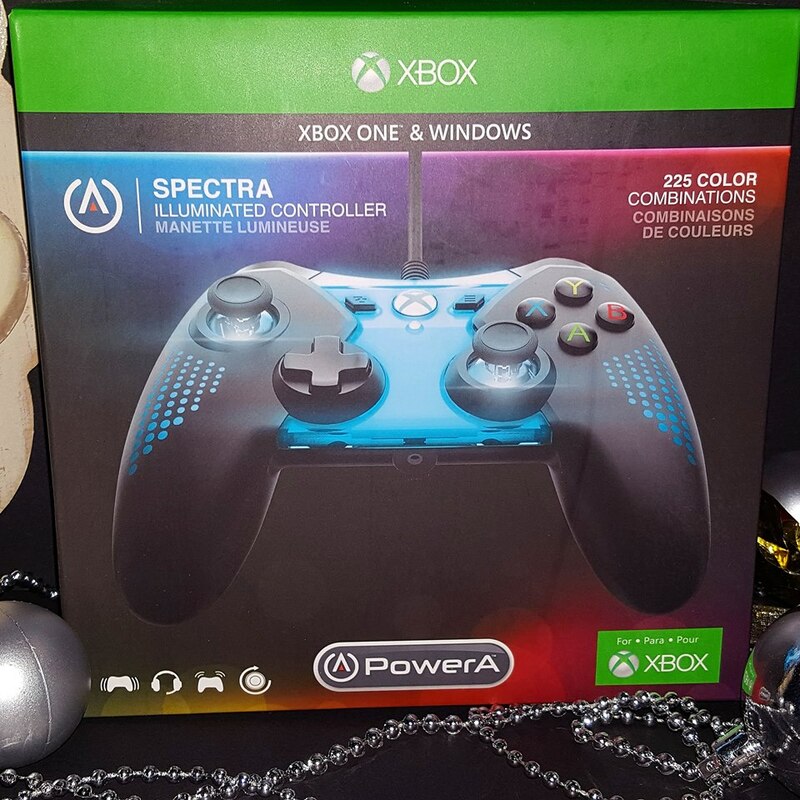 There are three buttons located on the back of the controller that allows for color and brightness customization of two separate light up areas. Be in control of your individual gaming style. The new Fusion Controller presents a combination of advanced, customizable features that let every gamer take control of their individual preferences. 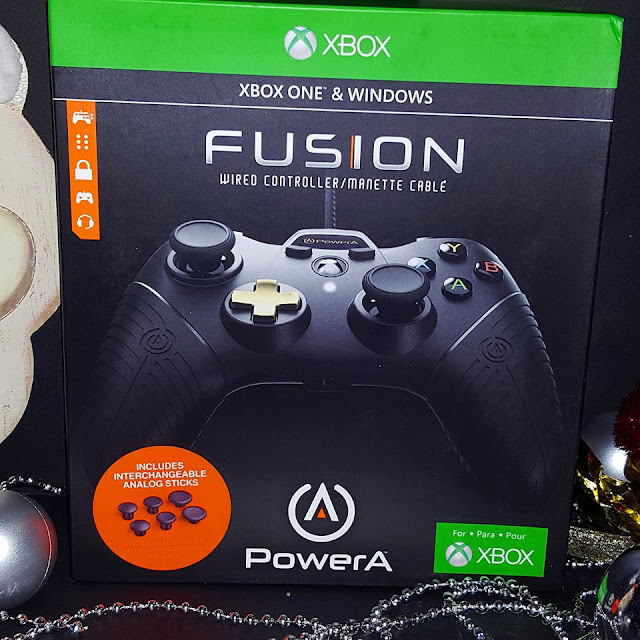 Officially licensed by Microsoft, the FUSION is designed for Xbox One with 6 Interchangeable Analog Sticks, 2 Quick-Trigger Locks, and 2 Pro Gaming Buttons, mappable to the settings of choice, to enable fine-tuned accuracy and improved speed. Finished with gold electroplated elements, breathable grips, a 3.5mm audio input, and 9.8ft braided cable - making this the most advanced controller without a daunting price tag. 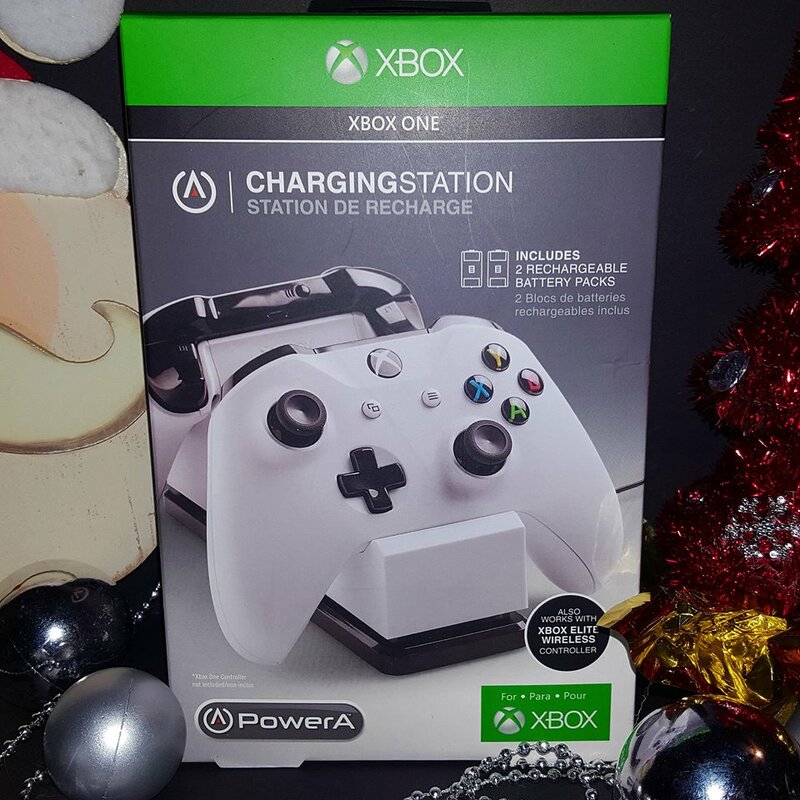 The officially licensed Xbox One Charging Station by PowerA eliminates the cost of replacement batteries so you can keep your controllers fully charged and ready to game. To charge, simply click controller down on the Charging Station and view LED light bars indicating charge level. When fully charged, click up to store. Comes in either black or white. 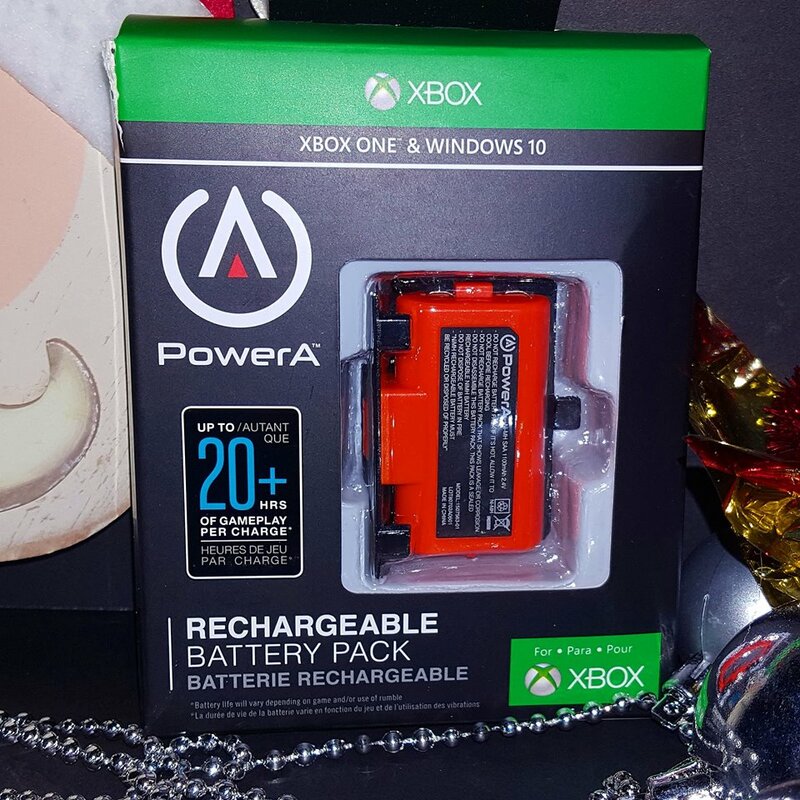 The Play and Charge Kit by PowerA creates a universal battery solution for all of your Xbox One gaming needs. With the Play and Charge Kit, you are able to charge your batteries while you play or while being displayed. The included batteries are also compatible with all of PowerA’s charging solutions including; the PowerA Xbox One Charging Stand, Xbox One Charging Station, and the Charging Stand for the Xbox Elite Wireless Controller. Your favorite marsupial, Crash Bandicoot, is back! celebrate the fully-remastered release of Crash Bandicoot n. Sane Trilogy with this Officially Licensed Crash Bandicoot statue from PowerA. This roughly 5” tall statue is made of heavy metal with durable and vibrant Enamel colors. 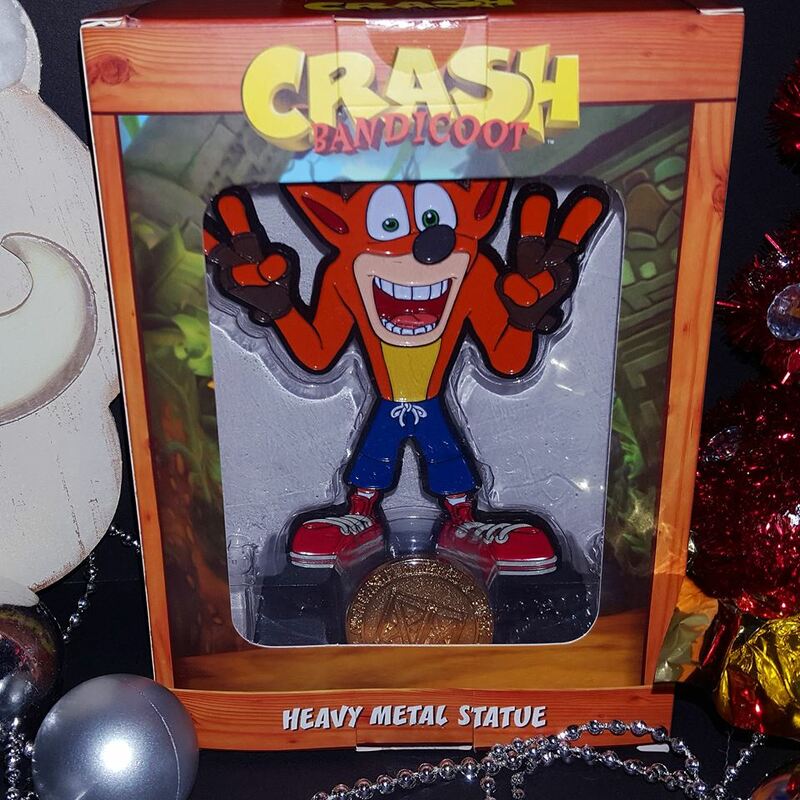 A collectible Gold coin Featuring a loot box, character name, and 'Crash Bandicoot medallion of authenticity' sits in a magnetic slot within the sturdy base. This is 1 of 3 available designs, so be sure to collect aku aku and Dr. Neo Cortex statues to complete your set. 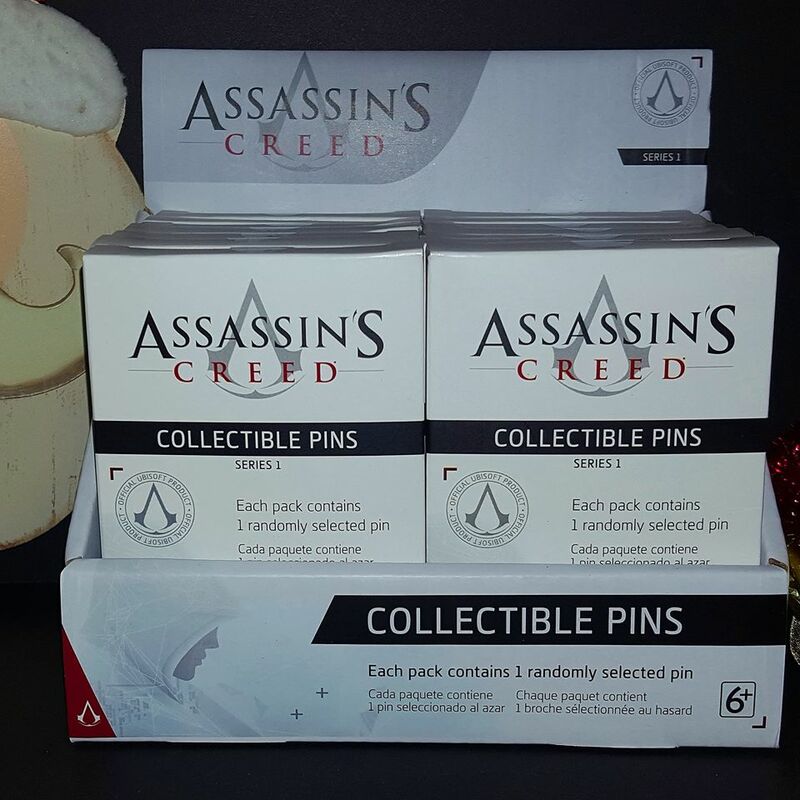 Wear, Pin, and display your favorite Insignias, Emblems, and crests from the Assassin's Creed franchise with the Officially Licensed Assassin's Creed collector Pin set. Each mystery box contains 1 randomly selected Pin. ; among the 10 pins is a Super Rare Gold 10 year commemorative Pin. Collect them all: British insignia 7: 56, Unity insignia 7: 56, rogue insignia 7: 56, Black Flag insignia 7: 56, chronicle's insignia 7: 56, Assassin's Creed III 7: 56, ottoman insignia 6: 56, Assassin's insignia 4: 56, assassin silhouette 3: 56, Gold 10 year commemorative Pin 1: 56. Make sure to follow PowerA on Facebook, Instagram and Twitter to keep on all things gaming! From our gaming family to yours we are wishing you all the happiest of the holidays and as always keep it Southern Y'all!